Restores Cell Energy. Rebuilds Skin Collagen. 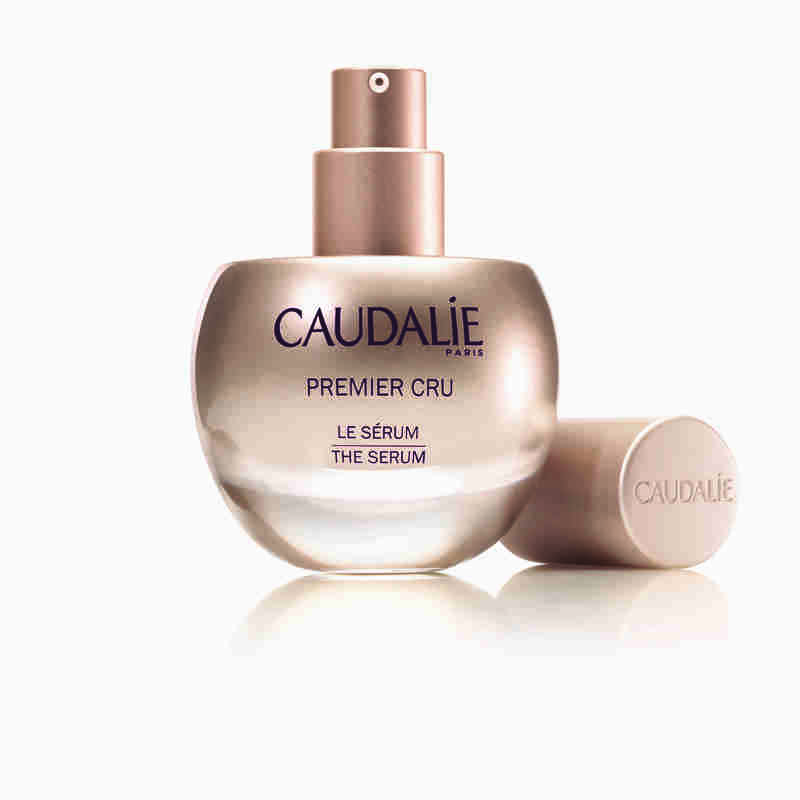 Caudalie is thrilled to announce the launch of Premier Cru The Serum, the latest addition to the Premier Cru Collection. The Serum features Vinergy®, an exclusive new technology co-patented by Caudalie and Harvard Medical School. This unique formula, blended with highly efficacious ingredients, intensely revitalizes the skin to correct all signs of aging and boosts the action of your anti-aging face cream. This co-patented complex is a combination of Caudalie’s signature Vine Resveratrol that acts as antiwrinkles protection and firms the skin, along with Betaine from plant extract, known for its antiinflammatory properties, and its ability to retain the skin’s moisture. These two ingredients combined together show new, incredible anti-aging properties and act in synergy to deliver exceptional results. Vinergy® increases the synthesis of collagen by 46%* by acting on the 2 steps of cell energy metabolism. * Cutaneous fibroblasts were cultivated in presence of Vinergy® complex. Pro-collagen-i release in cell culture supermatant was measured after 48h of treatment using an elisa assay. ** Cutaneous fibroblasts were cultivated with or without Vinergy® complex for 24h. Mitochondrial mass was measured after 24h of treatment using the deep red fluorescent probe. *** Cutaneous fibroblasts were cultivated for 24h with Vinergy® complex in presence of the nampt inhibitor fk866 that allows to mimic aging-associated ATP loss (premature aging). Intracellular ATP (Adenosine Triphosphate) levels were measured after 24h of treatment using a chemiluminescence-based assay. The Premier Cru Collection is an exclusive blend of all Caudalie patented ingredients – Polyphenols, Viniferine and Vine Resveratrol – and among the most high-performance active ingredients to reduce all signs of aging in a single step. – VINERGY® COMPLEX restores the cellular energetic metabolism of skin cells. – VINE RESVERATROL + MICRO HYALURONIC ACID COMPLEX: stimulates natural hyaluronic acid production to lift and plump the skin. – VINIFERINE: corrects and prevents pigmentation, to brighten and lighten the complexion. – GRAPE-SEED POLYPHENOLS: provides the skin with anti-oxidant protection to defend skin against free radicals, main cause of wrinkles. – VINOLEVURE®: strengthens the skin by reinforcing the skin’s defenses. – MACRO HYALURONIC ACID: remains at the skin’s surface to smooth, hydrate and plump to reduce wrinkles. – WHITE PEONY EXTRACT: evens skin tone and enhances the luminosity and transparency of the skin. After The Serum’s application, the skin is immediately left feeling rejuvenated, and signs of aging are corrected. This lightweight, gel-to-water texture is immediately absorbed, leaving the skin soft and supple with a beautifully radiant complexion. After you cleanse, The Serum is the first step to your beauty routine, and should be applied morning and evening to the face, neck and décolleté. PREMIER CRU THE SERUM (30ml) is $150 and will be available in January 2018 at Caudalie Boutique Spas, us.caudalie.com, Sephora Stores and sephora.com.